As you move aft from the foc’s’le along the port side, you will come to a double breakwater. Between the two breakwaters, you will notice a square door on the bulkhead at about waist level. This is the watertight opening that houses the ship’s dumbwaiter. This item was added in 1952 during the Korean War. 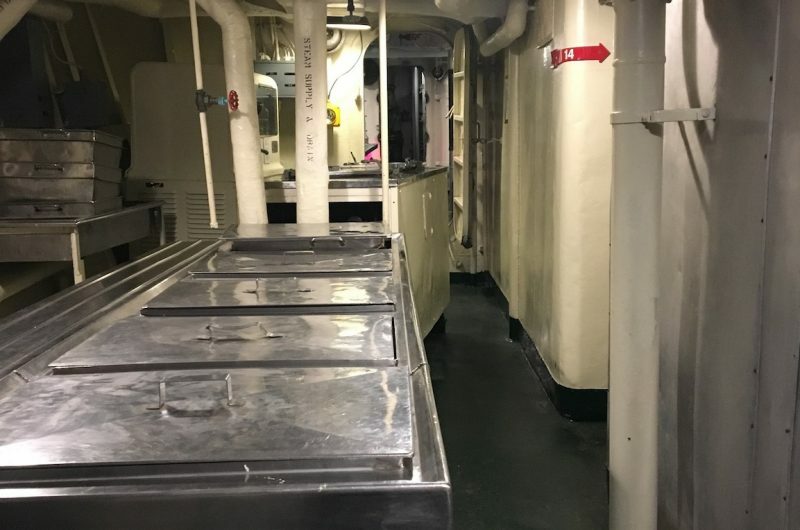 It was used to hoist large pans of hot food from the galley on the main deck to the food service compartments below. The double breakwater was designed to protect the dumbwaiter and food handlers from waves. 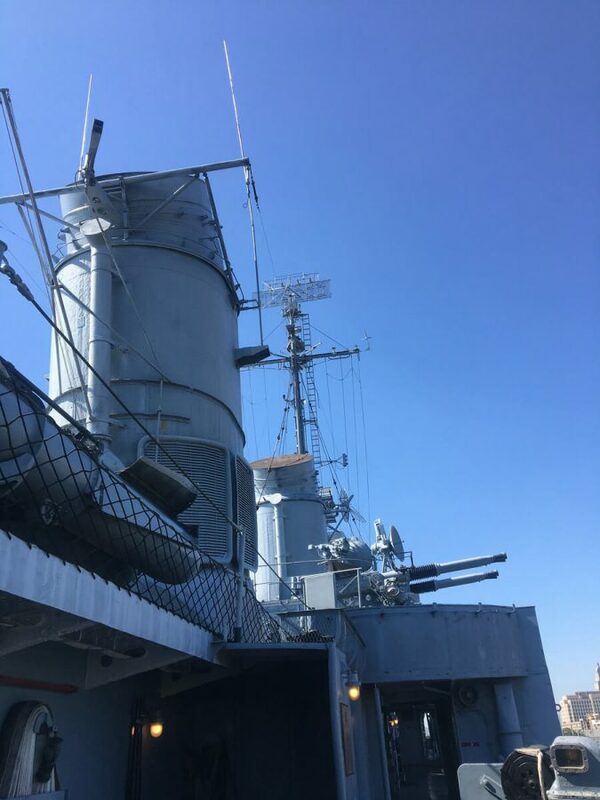 Prior to this during World War II, the pans of food were hand-carried by mess attendants down two flights of ladders to the third deck below while the ship rocked and rolled around them. The large hatch just past the portside breakwater leads down to the crew’s messdecks. During meal hours, the crew would line up along the main deck and down this ladder well and await their turn to be served. 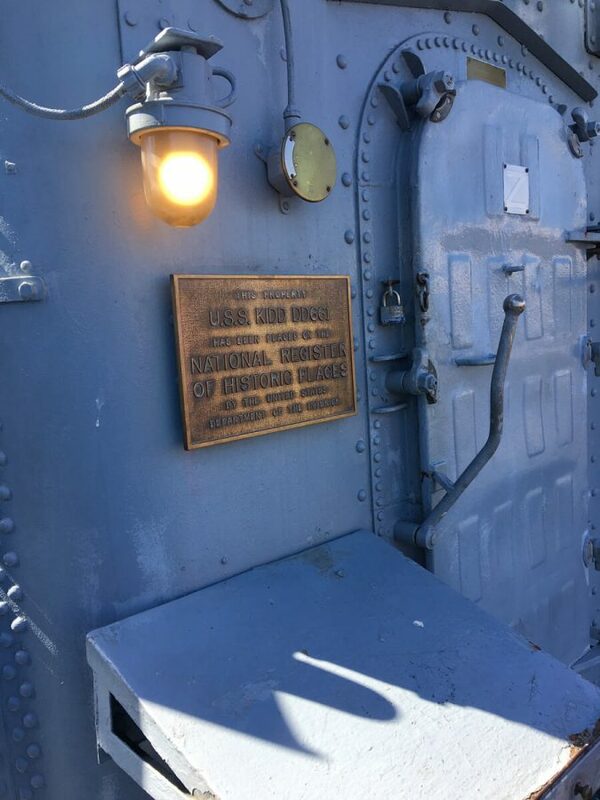 The hatch, normally open, would be secured during heavy weather. Access would be gained by the round scuttle in the center of the hatch. The ladders on the KIDD and other destroyers were inclined rather steeply due to lack of space. 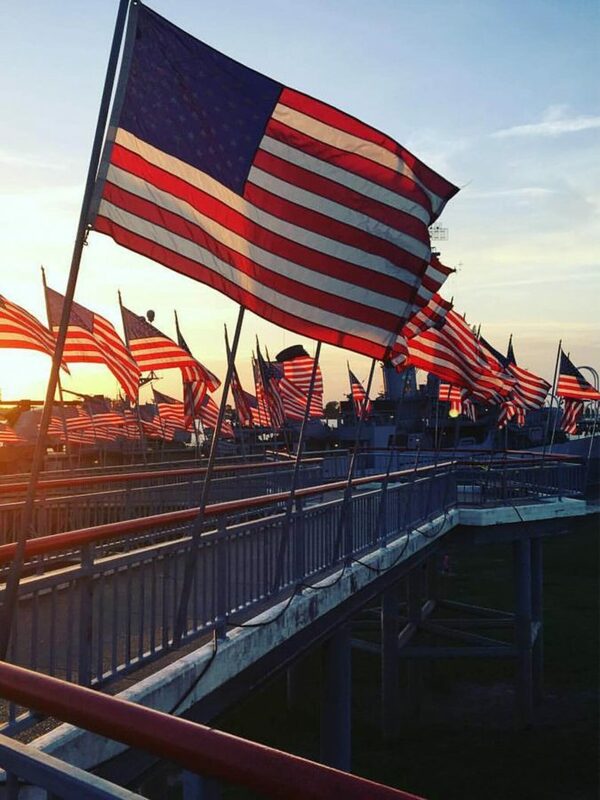 Sailors would often grab hold of the handrails and slide down a ladder when in a hurry. Being able to do so without hurting yourself in the process was a telltale sign of having your “sea legs” (i.e. being accustomed to life at sea). At the bottom of the first ladder (on what is called the second deck) is the Steward’s Berthing compartment.The stewards mates worked in the wardroom and galley. Several men were killed in this area when the kamikaze hit on April 11, 1945, rupturing high pressure air tanks that were located in this passageway. 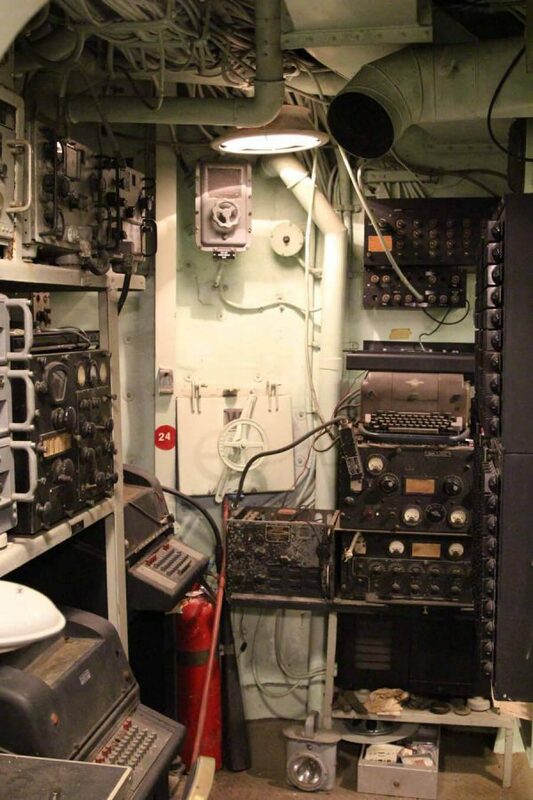 The compartment now contains radar equipment instead of bunks. 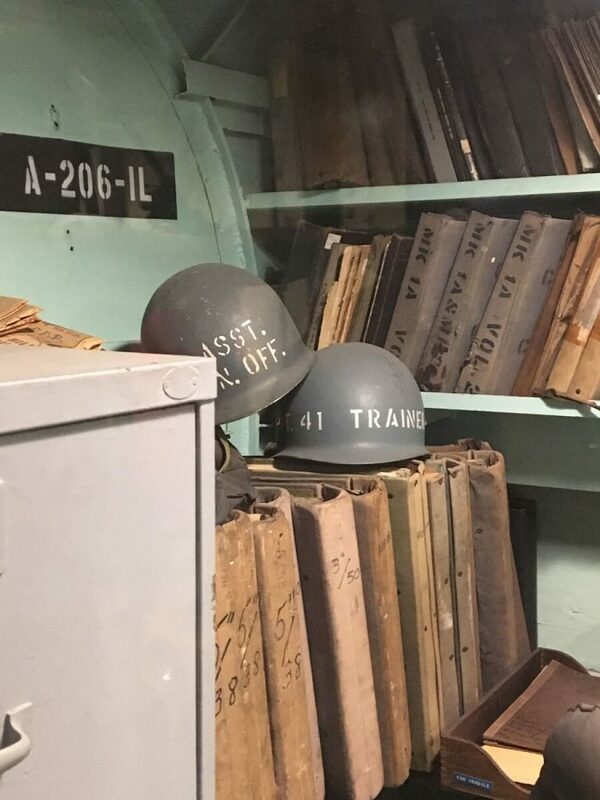 During the Korean War era, the space was modified to house support equipment for gunfire control, as well as to make room for the dumbwaiter which was installed at this time.